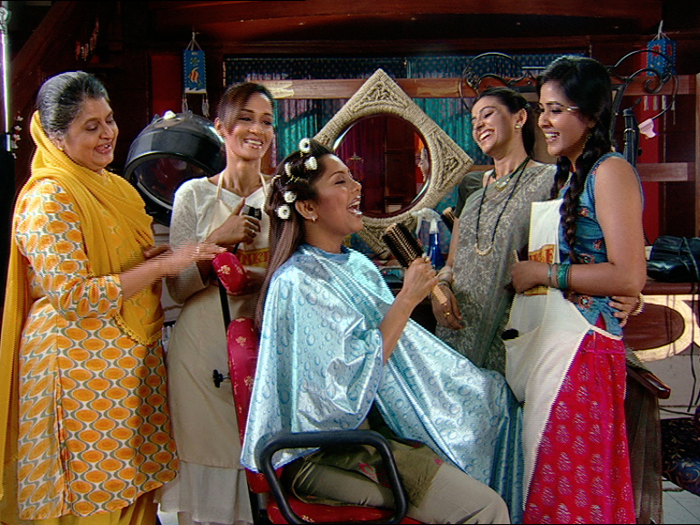 The show essentially revolves around 5 women namely Fatima Bi, Laila, Shweta, Damini and Bunty. These women by the virtue of being distinct in their personalities as well as the events that have taken place in their lives - their conflicts and revelations, represent the different young woman in today’s day and age – especially their aspirations, goals and challenges. The show is primarily set in a typical middle class beauty parlor, located near the busy market place of Lajpat Nagar, New Delhi. The feel of the show is very earthy and relatable. This is why this show will definitely serve as a breather for the audience as the treatment is very fresh and light but at the same time the show has drama which is very gripping and thought provoking.